D.P. Connolly & Sons was first established in August 2010 by Denis Connolly and Brendan Murphy. The pair saw a gap in the market for Irish-made cordials, juices and soft drinks without preservatives or additives with the use of natural ingredients.D.P Connolly & Sons is a family business based at Shanahoe House, Co. Laois that supplies pure and natural pressed fruit juices which contain no added water, sugar or preservatives, just pure pressed fruit juice. We recently launched our Elderflower range of drinks and still Lemonades. 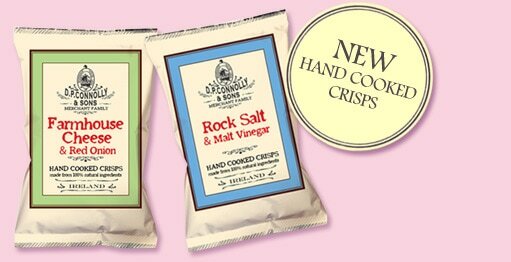 Our other products that compliment the range include jams, sweets and crisps. Our fruit comes from the finest fruit orchards in Ireland. We have planted an Elderflower Orchard which has over 1000 Elderflower trees making us the only commercial Elderflower producer in the Country. D.P.Connolly & Sons has a dedicated team working for them to ensure a high standard and commitment to production, quality control, innovation in natural and botanical drinks, health and safety measures, customer satisfaction and the ability to meet deadlines. Address: Shanahoe House, Co. Laois, Ireland.